It seems that it is rare to find true love nowadays. Some people spend so much time and effort searching for the true love that would stay for the rest of their lives with them. But some people are quite lucky to have the right person that would see through their flaws. 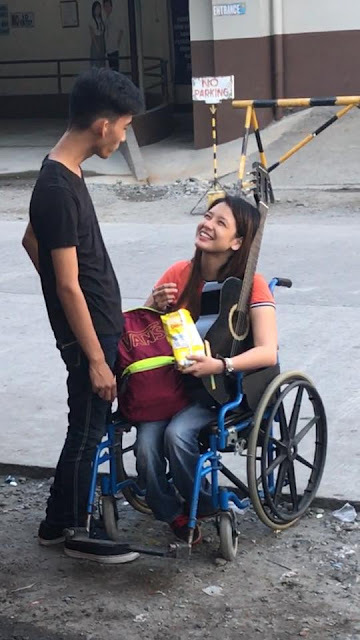 This couple love story will surely inspire you as this man devotes himself entirely to a girl despite her pre-existing condition. 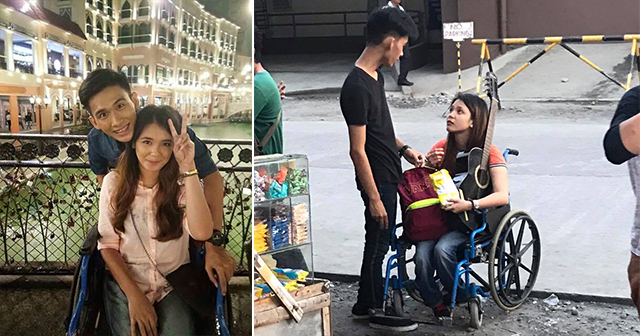 The couple named Lance and Ella became a sensational love team as they caught the attention of many social media users of Facebook. Denz Bautista Ceralde shared a photo and a video of Lance and Ella which became viral online. 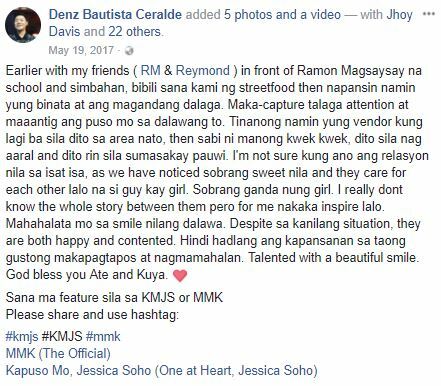 The sweetness of the two captured the hearts of many netizens which is seen on the Facebook post. 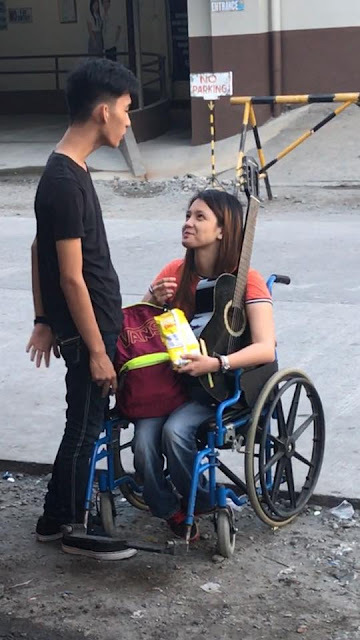 In the video, Denz spotted a man and his PWD girlfriend in front of a “kwek-kwek” food stall. He immediately took some photos and videos because he got mesmerized by the two and how the girl gorgeously smiles while looking at the boy he was with. According to his Facebook feed, he stated that he had no idea if what’s the real deal on their relationship status but he believed that the boy is in good intentions with the girl as if he was in love with her. Denz admired the boy because he saw the deep affection that the boy has for the girl. The TV episode that was air in GMA was titled “Our Viral Love: The Lance Fernandez and Ella Layar Story.” The story was about a young boy who was deeply in love with a very gorgeous and kind girl, Ella, despite her serious illness. Ella’s condition confined her to live most of her time in a wheelchair. His affection didn’t ever wavered a little and even used it as a means of reason to be with Ella. Lance not just proved himself as her lover but also became a wonderful miracle for Ella. He made her life colorful and put a smile on her face because of love. Many people got inspired and believed once again that true love still exists. Although Lance didn’t say it directly, a lot of people believes that Lance intentions are true. He had chosen to take good care of her heart and vowed to keep her safe from harm. Some people may think that their relationship would be tough and complicated, but a lot of people are hopeful that they will push true through it all. Their pursuit of happiness will eventually come as long as they committed to keeping their vows. What are your thoughts on their love story? Share it with this article!